On Wednesday, February 13, 2019 the city council of the Fryske Marren voted against the zoning plan for industrial sand extraction in the inland lake IJsselmeer. That means that the island with sand factory may not be laid out. The requested environmental permits for the extraction of sand in the IJsselmeer near the coast of Gaasterland will no longer be issued. The procedure followed has already been examined by the Minister several times during the process. It has been established that it went well and carefully. But the miner, Koninklijke Smals BV, is free to have this checked by a judge. Smals is currently considering the procedure to be followed. Through this site we keep you informed of further developments. A big sand mining company, Royal Smals, intends to start industrial sand mining from an artificially constructed island with 22 metre (72 feet) high, 100 metre (328 feet) width buildings. The edge of the 60 metre deep and 1.8 km wide dredge pit will be 4,5 km (2.8 miles) off the cliff coast of Gaasterland, Friesland. The affected area covers 250 hectares (618 acres). The sand mining industry will be operational 24 hours a day, 6 days a week and be lit day and night. Gaasterland is protected as a National Landscape. The inland lake IJsselmeer is an internationally protected nature reserve under the EU guideline Natura 2000. Natura 2000 is a network of protected areas covering Europe’s most valuable and threatened species and habitats. The wetlands of Gaasterland are protected as National nature reserve. The Government and Association of Provinces have designated red, blue and green zones in the IJsselmeer, the green zones potentially allow sand extraction the red zones specifically not unless there are absolutely no alternatives. And it is exactly there, in such a red zone, where the Ministry of Infrastructure and Water Management (Rijkswaterstaat) and Smals are determined to start the industrial sand mining. this is not understandable. Industrial sand mining does not belong in a protected nature reserve. This activity will be detrimental for 250 hectares of bird and fish habitat. 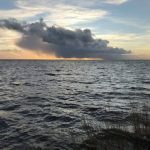 It will damage the quality of life for people who live or recreate in Gaasterland or on the IJsselmeer because of sound and light pollution and the loss of view over the IJsselmeer. The distinctive character of the landscape of Gaasterland and natural beauty of the IJsselmeer will change forever if this catastrophic plan will be implemented. 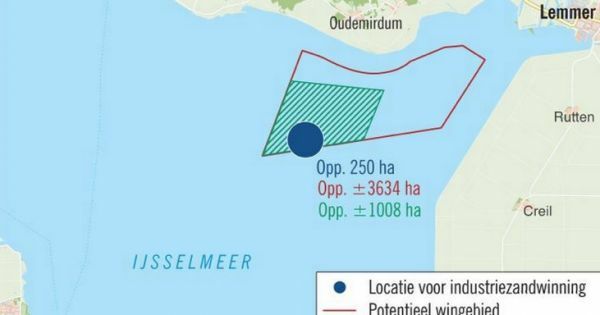 The choice to allow sand mining in a red zone of the IJsselmeer will be at the expense of environment, people and animal welfare in the Gaasterland area and the IJsselmeer. The combined Nature organizations, Dutch Fishermen Association and people living in Gaasterland solemnly request the Ministry of Infrastructure and Water Management and the township De Fryske Marren not to agree to this plan.